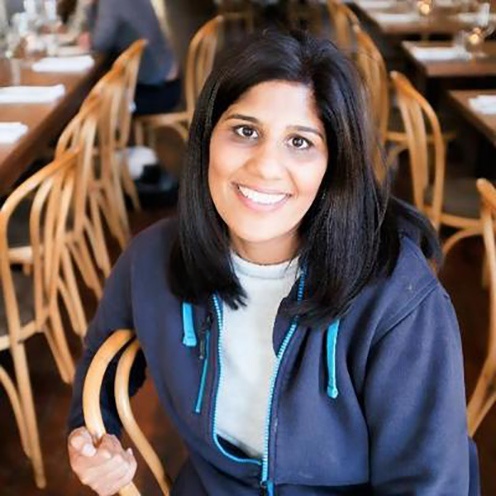 Selina Tobaccowala is an entrepreneur and software product executive. She attended Stanford University in Stanford, California and graduated with a bachelor's degree in computer science in 1998. Tobaccowola founded Evite in 1997 while attending Stanford, along with fellow Stanford student Al Leib. She served as vice president of engineering at Evite until 2001, when Evite was acquired by Ticketmaster. Tobaccowola served as vice president of Online Product and Technology at Entertainment Publications (a subsidiary of IAC) starting in 2003. She then became senior vice president of product at Ticketmaster's Europe division. Tobaccowala joined SurveyMonkey in 2009 as vice president of product and engineering, before becoming President and Chief Technology Officer. In 2016, Tobaccowala joined with her Evite co-founder, Al Leib, to start Gixo, a fitness app that streams live exercise classes to mobile devices. She currently serves on the board of Redfin, and on the advisory board to HubSpot.